Calling all Ranger Rick Magazine and animal fans! We’ve found a terrific app for you with Ranger Rick Jr. Appventures: Lions. This first in a series of apps from the National Wildlife Federation takes kids on an adventure through the grasslands of Africa where you and Ranger Rick Jr. meet Lars the Lion, who acts as your tour guide. Appventures: Lions offers a variety of challenging activities that cater to a broad age range (4-7 years old) and skill sets. For instance within the “Play” area of the app, there’s a puzzle section where you can choose whether you want 9, 16 or 25 pieces. These act like a real puzzle pieces–no guides to help you along. Other fun activities include “What’s Wrong with This Picture” where kids have to point out what doesn’t fit in the African grasslands (like a phone booth) and "Photo Safari," which uses the built-in gyroscope of your iPad to spin around 360 degrees and take pictures of Lions in their habitat. 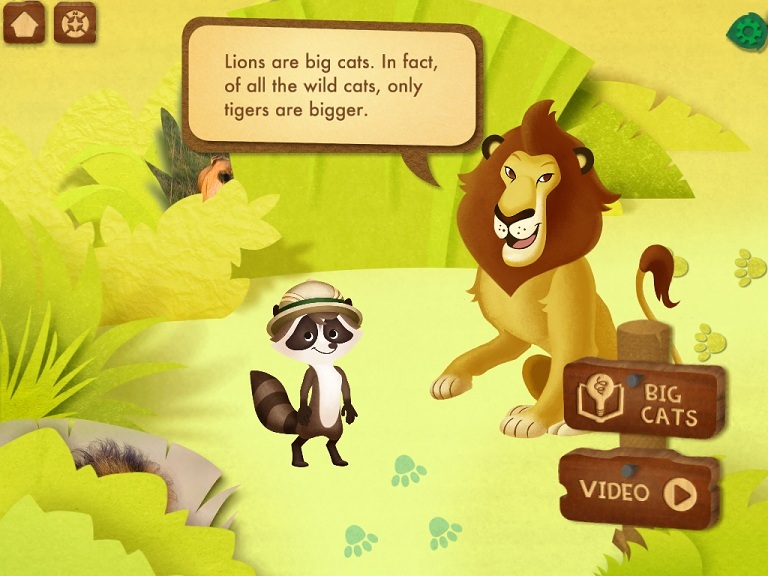 The app includes educational videos of live animals and teaches kids facts in a fun way, like comparing the weight of a tiger to “as much as 12 first graders” in the Explore section. 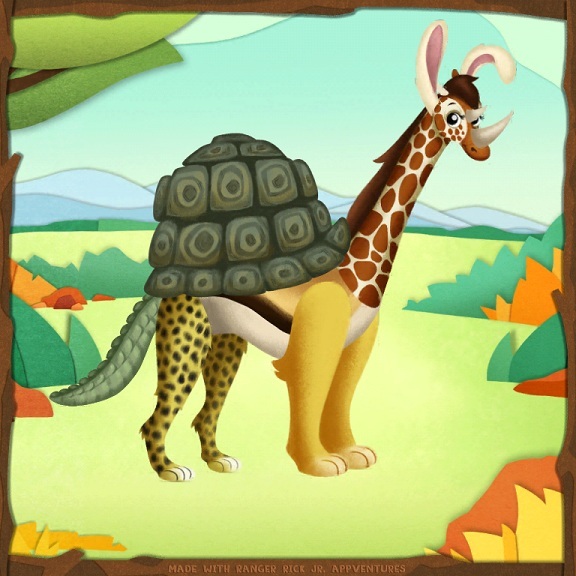 Kids can also play with virtual sticker boards, make “wild music” with an animal-sound keyboard and build unique animals using parts of animals found in the African grasslands, among other activities. In all, a very robust app. Ranger Rick Jr. Appventures: Lions is available in the iTunes App Store for $4.99, but note that Appventures are compatible with the iPad mini and Pad 2 or later.